DON’T SHOOT calls attention to firearms and the need for gun control. 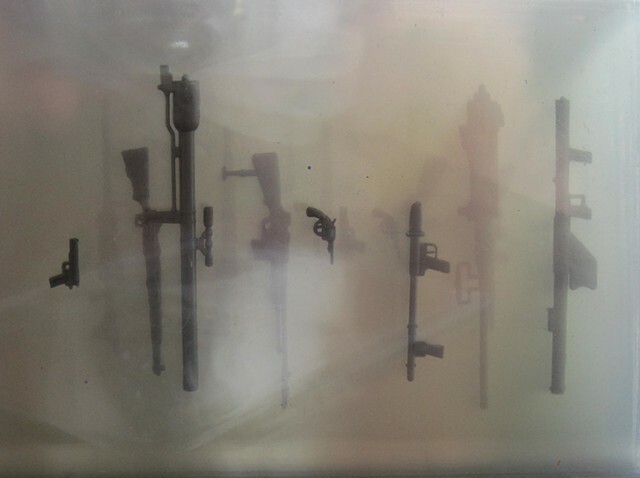 This is a photo of miniature military guns stacked together in vintage baseball card sleeves. The prints are produced in a range of sizes, with a maximum of 5 images per size and a maximum of 25 prints total.